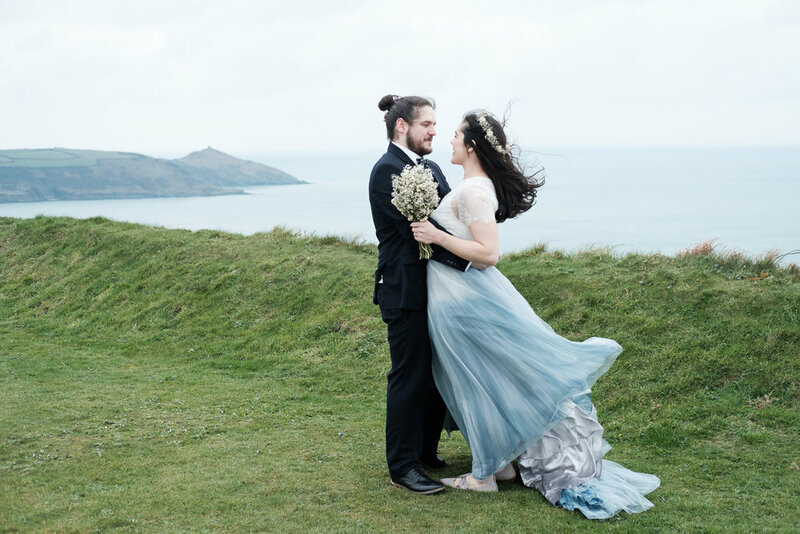 Connie and Richard chose the picturesque and super cosy Whitsand Bay Fort for their elopement. I'm pretty sure that Whitsand Bay Fort is my favorite venue. 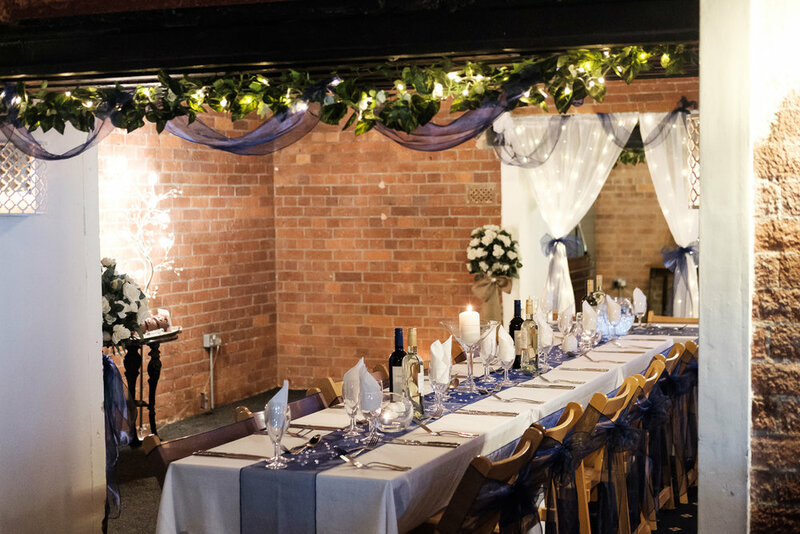 I have had the pleasure of photographing 3 weddings here and have 4 more coming up this year, YAY!. 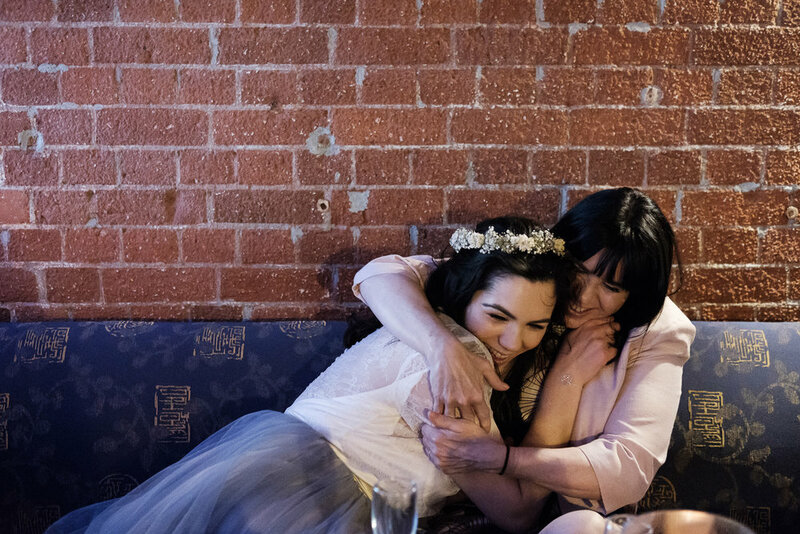 Remember Lucy and Mark's windy wedding and Caroline and Charlie's November wedding? Each wedding here is so different and amazing and each time I have been the ceremony has taken place in a different spot. 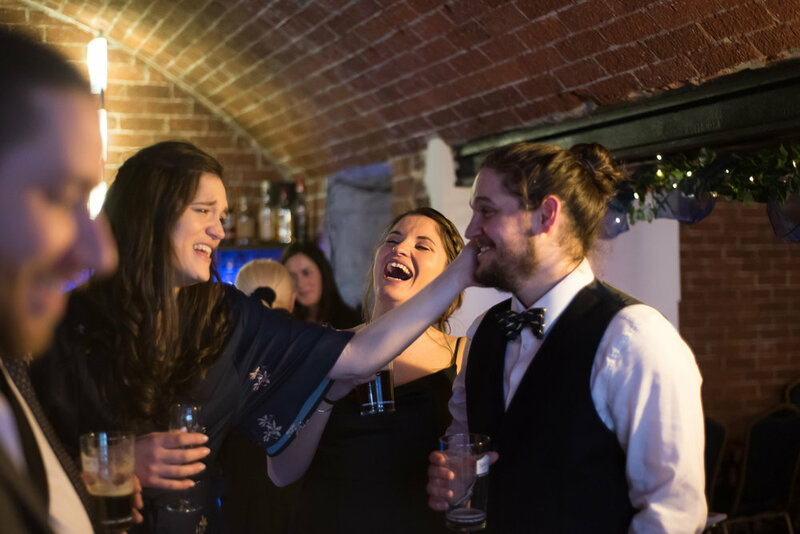 The versatility of the venue is one of the many reasons why I think Whitsand Bay Fort is one of the best wedding venues in cornwall. 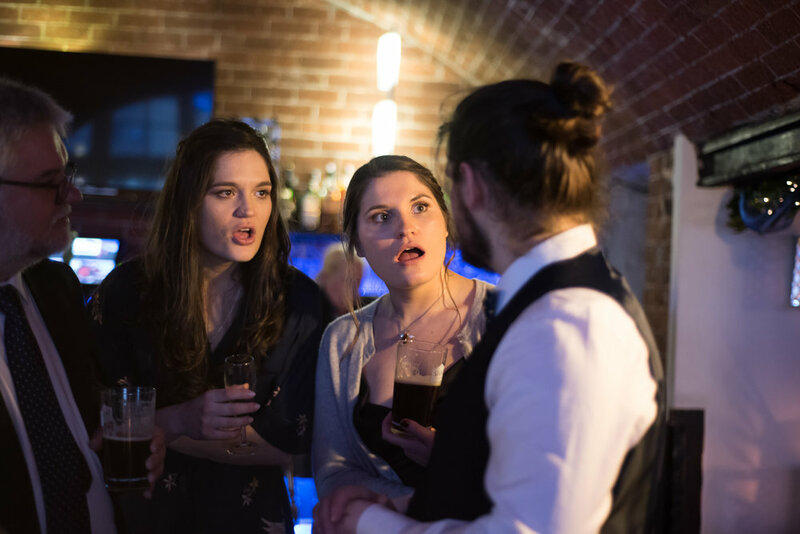 No matter the weather (Even snow in this case) the lovely staff (shoutout to Claudia, Dave, Jane and lovely bar and kitchen staff) work their little bum's off to ensure that your wedding is awesome and totally unique to you. Oh man, this day!!!! and this couple!!!... 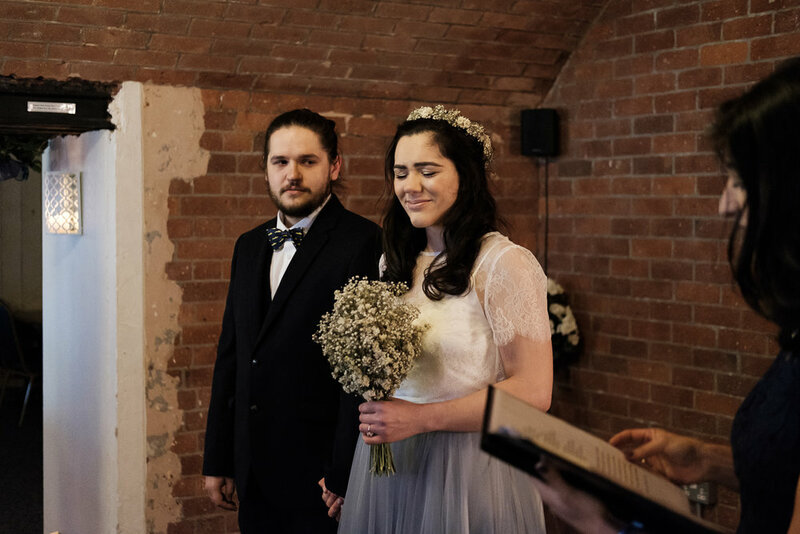 A first look, golf cart rides in the snow, views of the Cornish coast, adorable dogs in bowties, happy tears, a cosy humanist ceremony conducted by the lovely Jo Hawes with an actual tieing of the knot, AC/DC playing and a sit down meal all at one table. 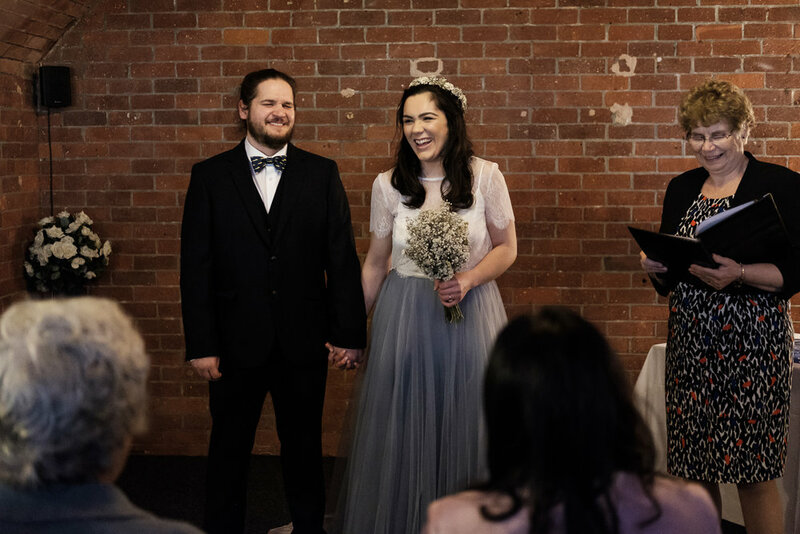 I loved so many moments from this day and I smiled so much during the day that my face ached really badly on my way home. 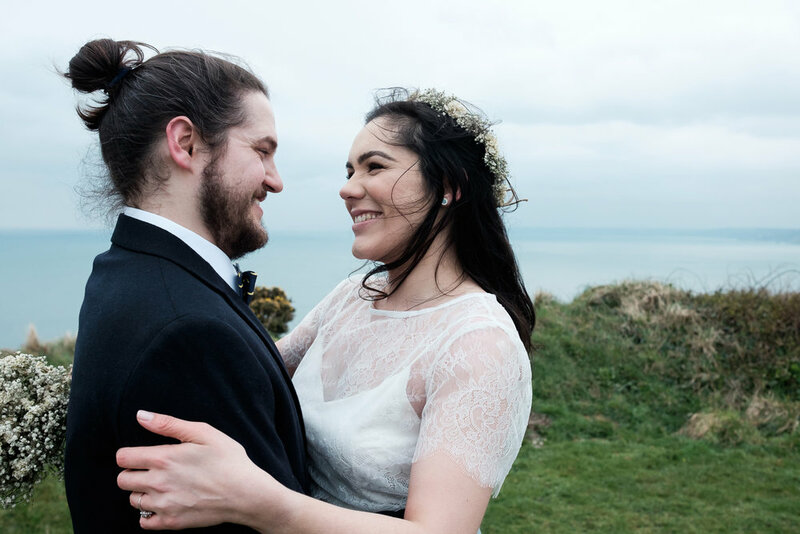 Connie and Richard, Thank you so much for choosing me to have the privilege of witnessing and documenting your super awesome Whitsand Bay Fort Elopement. 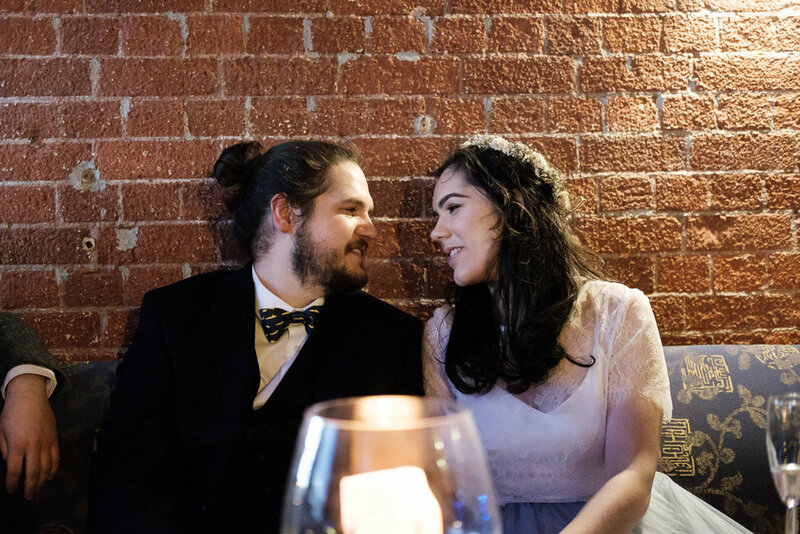 I love making awesome wedding and elopement mini films too! 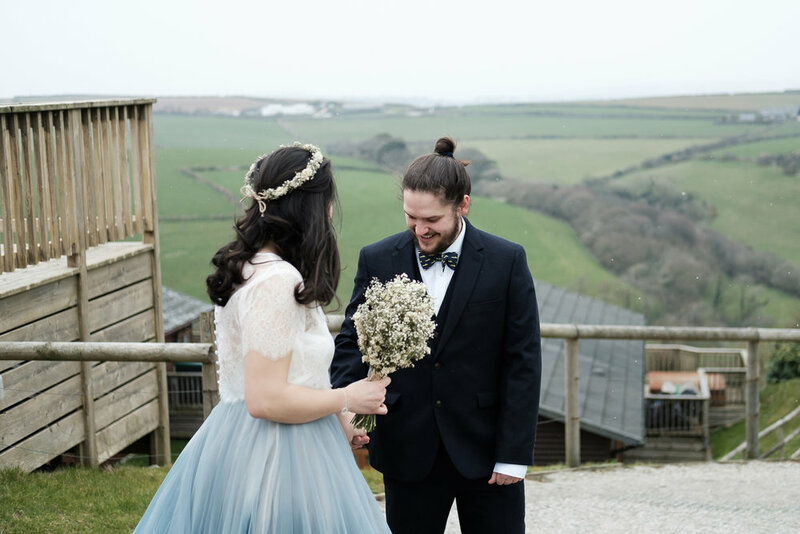 Please feel free to grab the popcorn and a nice cup of tea, pop your feet up, click the little triangle in the middle of the photo below and enjoy Connie and Richards Whitsand Bay Fort Elopement mini film. 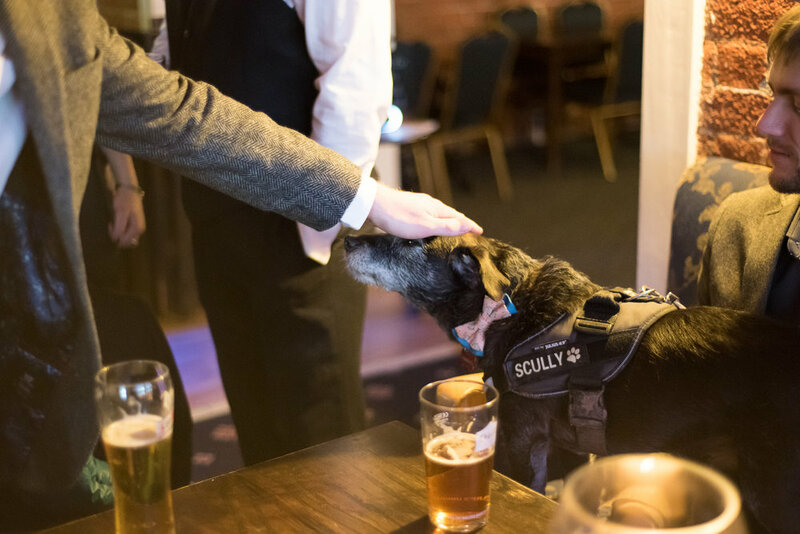 Feel free to get in touch and let me know what your favourite moments from the video are? I think the snowy moments were my faves! 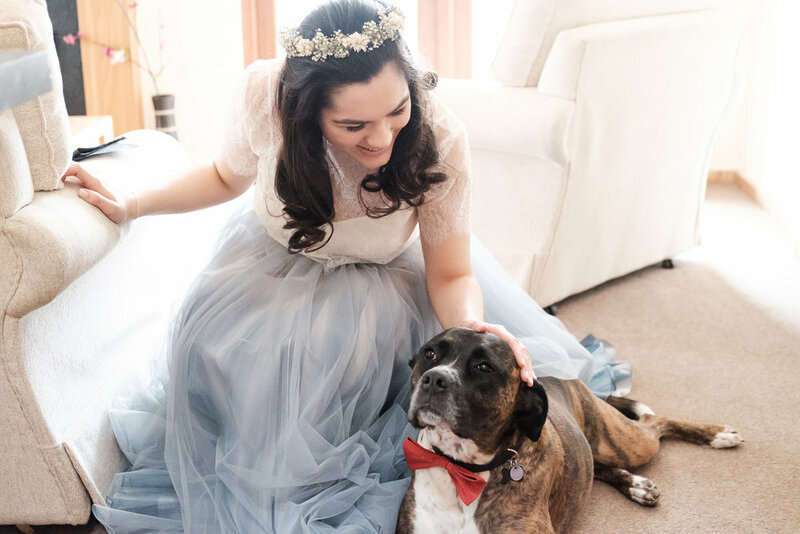 *NOTE - If you have already booked me for your wedding, didn't know that I make mini films (because they are new) and would love a mini film like this of your wedding day then please get in touch so we can talk about adding it to your package. 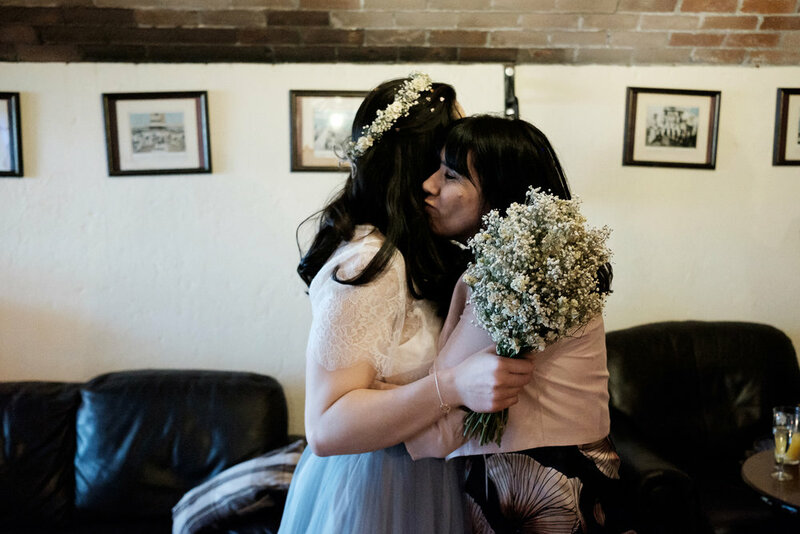 The photo above shows how cosy and intimate this elopement was. Diddnt Whitsand Bay Fort staff do an amazing job of the table! 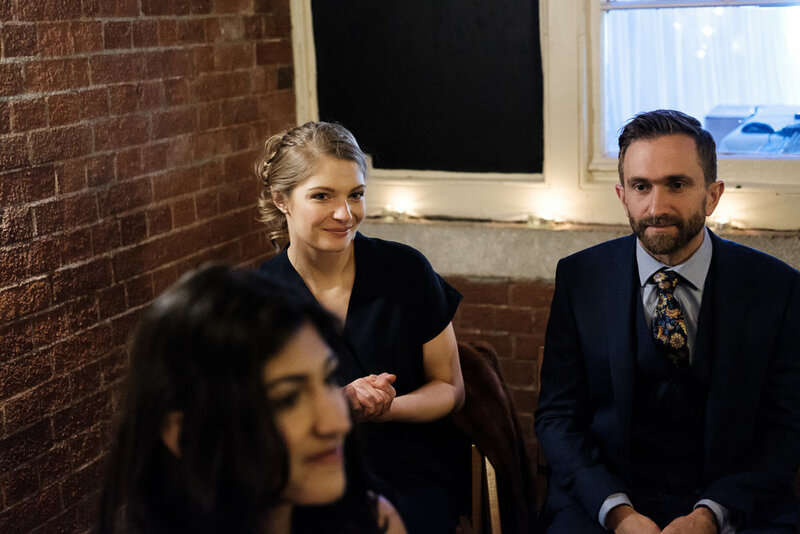 When the lovely couple return from their honeymoon I'll be asking them a few questions about the day and I'll pop that conversation right here, so please keep your eyes peeled. 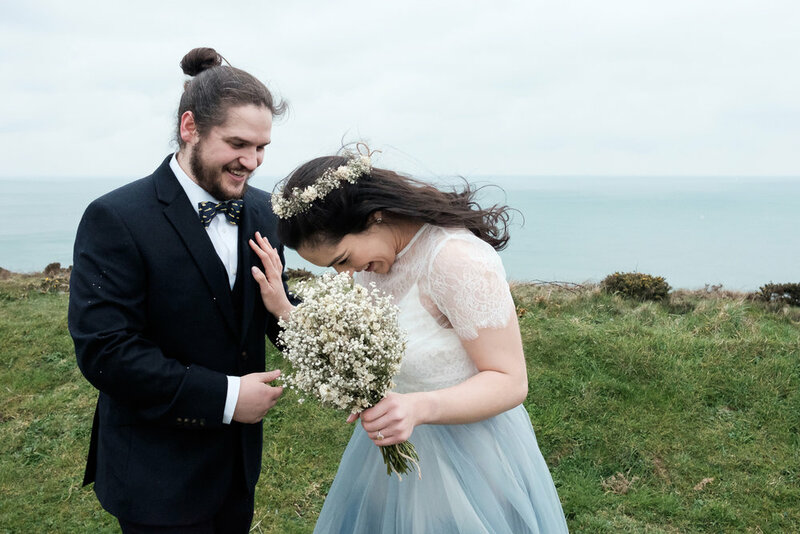 but for now, please enjoy some of my favorite moments from Connie and Richard's Whitsand Bay Fort Elopement. 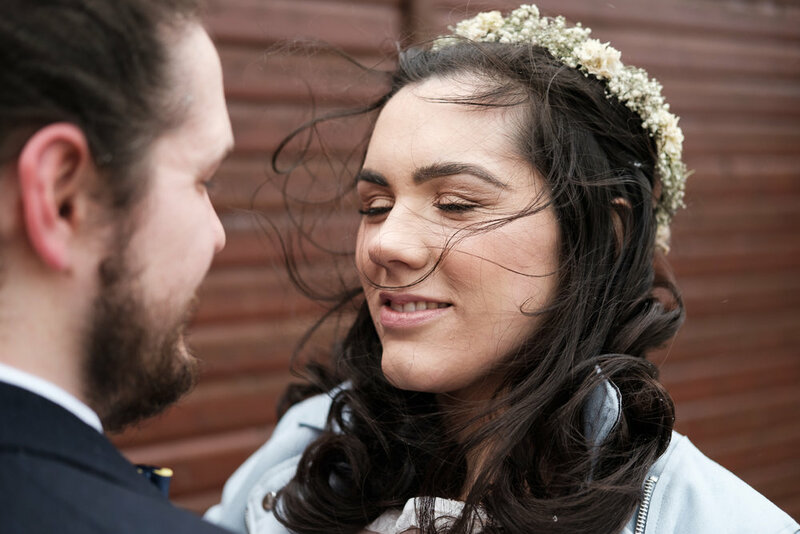 Planning to have an Elopement or intimate wedding in Cornwall (or anywhere for that matter)? I absolutely love photographing intimate weddings! 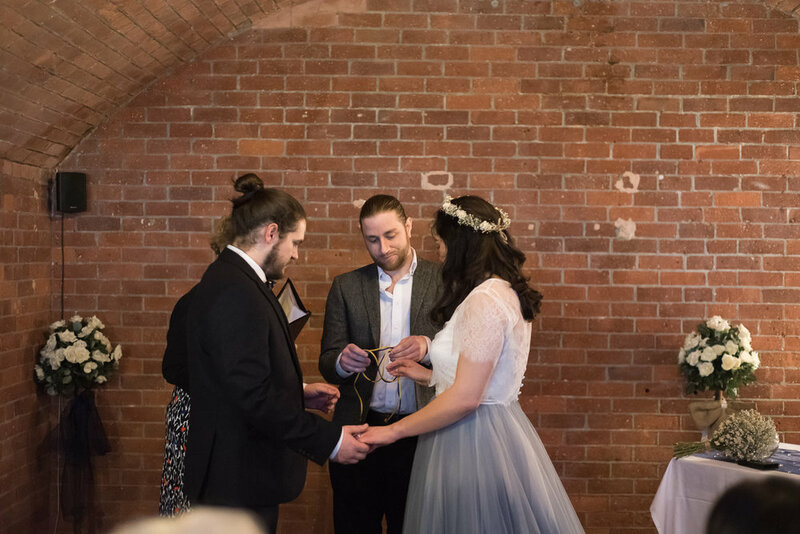 Please feel free to hit "the button below" and message me to arrange a cup of tea and a talk about your elopement photography and mini film options? I'm so excited to hear your story and your plans for the day! 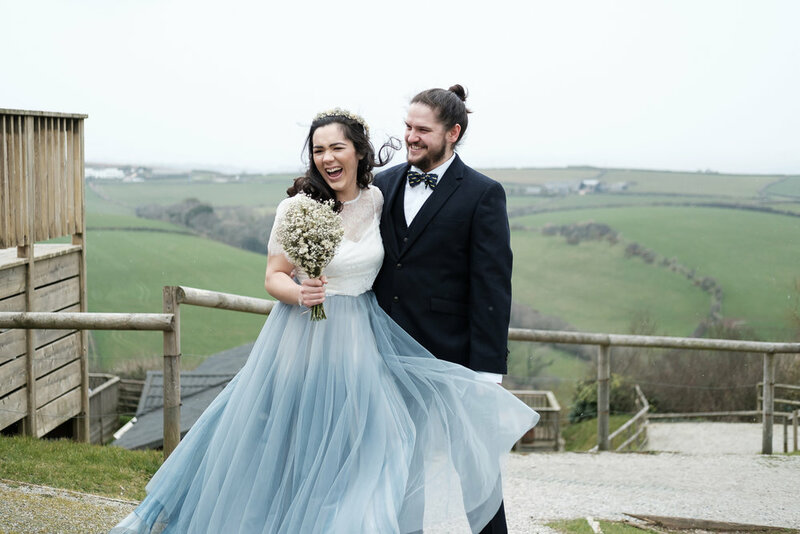 If you loved this Elopement and want to see more elopementy loveliness, then I think you will love Megan and George's Cornish Elopement story and photos. Click the photo below of these stunners to see! Yep, I sat in the back of their car in between their two best mates and ran away with them to document their Cornish elopement. It was an incredible day!